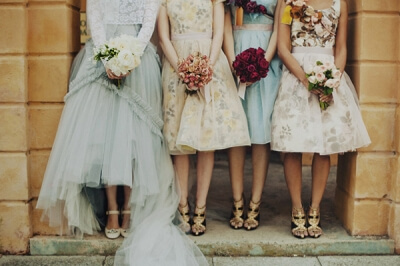 Weddings often focus on the brides’ style, but I think bridesmaids deserve a look in too! After all, you want your friends and family to look amazing, and feel great too. In my opinion the bride is always the most beautiful woman on the day regardless. I have been in this business a long time and every now and then bringing the brides wedding dreams to life for her bridesmaids is like a tug of war experience. 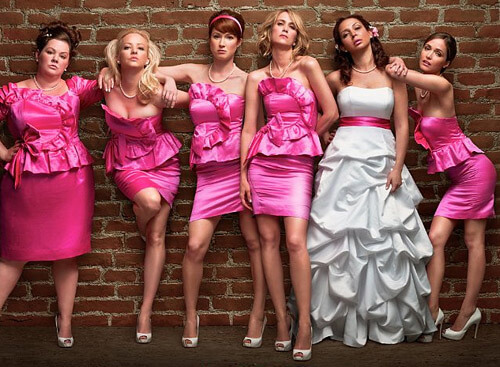 Sometimes making and keeping bridesmaids happy with hair and makeup choices is especially stressful and coupled with an ill fitting or unflattering dress bingo “bridesmaidzilla”. In all honesty I can’t say I blame them, they want to look good, too. This is where it is critical to pick a style flattering to every shape and size. Consider the height, dress size and body shape of each of your bridesmaids and select a gown accordingly. If you have a bridesmaid who has larger hips or legs, an A-line skirt is the best option for bridesmaids of all shapes and sizes. For a bridesmaid who has a larger bust, she might feel more comfortable with straps on her dress versus a strapless style. The same rules apply for hair and makeup, the style you pick may not suit the face shape and features of every bridesmaid, so you need to be flexible and allow variations on the look. A new trend is many brides are allowing their maids to select whatever style they prefer. A bride chooses a designer’s color and fabric, and the bridesmaids may select any gown within those parameters. Hair and makeup ideas are discussed and each look is not identical but works as a theme. Not a bad idea as this eclectic look is not only distinctive but allows everyone to feel comfortable and beautiful. A personal favorite look of mine is an eclectic vintage inspired variation rather than everyone looking uniform. 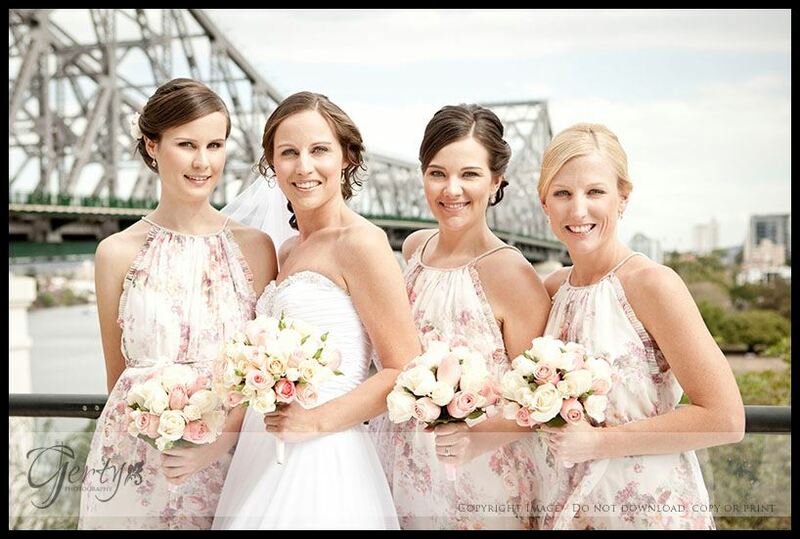 This is a photo of Jess and her bridal party a Real Wedding we did the makeup for last year. These were the most beautiful maids dresses I had ever seen. The pastel colour palette and soft floral vintage print was so feminine and pretty. The A-line shape suited all the body shapes. In conclusion suffice to say I think the most important factor to all brides is ensuring that there bridesmaid’s look and feel their best too.